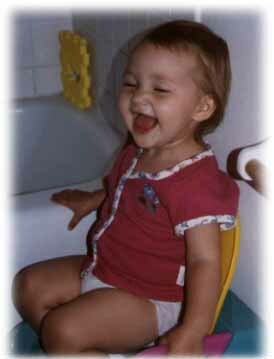 I've now discovered another fun way to play: I sit on my new potty and giggle like crazy. You ought to see me use the toilet paper like a big girl!! 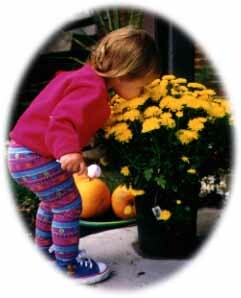 Mom, Dad and I had a great time at Celticfest in Chicago... And of course my favorite thing to do is smell the beautiful flowers! !